On a Sunday afternoon in mid-August, Sheikh Ilyas Nazarbekov is sipping green tea before starting his lecture at a private house on the outskirts of Bishkek, the capital of Kyrgyzstan. Among a series of publications available to buy on a small stand in the vine-covered courtyard is Saudi Sheikh Ali Tantawi’s General Introduction to Islam translated into Kyrgyz by Ustad Shamsuddin Abdykalyk Uulu, as well as a pamphlet entitled Who are the Shia? Every Sunday, Sheikh Ilyas teaches Islam in Kyrgyz to a group of mostly young men in the morning, and to another group in Russian in the afternoon. The same schedule applies on Saturdays for female students. On the day I attend, he imparts his teachings for the following three hours with no break and no question asked, jumping from the health virtues of olive oil and dates, to the necessity for strict monotheism, to the thousands of contradictions contained in the Bible - and much, much more. Sheikh Ilyas is a respected and active member of Kyrgyzstan’s Salafi community, although he prefers the definition ahl-u-s-sunna wal-jama’a, or Sunni Muslims, as ‘we follow our salaf, our righteous ancestors; we aren’t them.’ Originally from the southern city of Osh, Sheikh Ilyas spent several years studying Arabic and Islam in neighbouring Uzbekistan and moved to Bishkek in 1990, where – with other ulama, or religious scholars – he founded the Hazreti Umar Islamic Institute and a small mosque adjacent to it. Since then, Sheikh Ilyas and a group of like-minded scholars have operated via al-Sunna, an un-registered yet tolerated organisation which works from various private houses and lives off donations from believers. Religious revival has been a hallmark of Kyrgyzstan’s short post-independence history, as the country continued the policy of openness ushered in during Gorbachev’s perestroika. The result has been a steady growth in both the degree of religiosity and the diversity of and within faiths. As the majority of the country’s 5.7 million people identify as Muslims, Islam has been at the forefront of such developments. Preachers of all strands have been allowed in, as Sheikh Muntasir was, while to this day students travel abroad to Egypt, Saudi Arabia, Pakistan and Bangladesh for their religious training. Scholars, however, point out that the country’s traditional Islam ‘incorporates many elements of pre-Islamic religions and cults, including shamanism, animism, Zoroastrianism, ancestor worship and the cult of nature.’ It is this syncretism that Salafis like Sheikh Ilyas take issue with, along with other doctrinal and legal matters. Despite experts broadly agreeing with this assessment, the issue of outlawing TJ is a recurrent one in the country. Some worry that a ban on TJ would spell disaster for Kyrgyzstan, creating a vacuum that could be filled by extremist groups. Likewise, given the pervasiveness of da'wah and TJ’s effectiveness in addressing social issues such as alcoholism and drug abuse, the line between adherents to the Muftiate’s 'official' Islam and TJ is blurry. 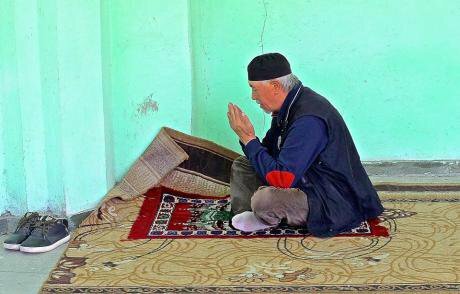 Throughout Kyrgyzstan Islam is becoming more and more a feature of daily life. (C) Davide VignatiCritics, however, view the current process of Islamisation – as they define it – with a mixture of suspicion and fear. Elites in Bishkek and (perhaps to a lesser but still important extent) Osh cherish the secular outlook inherited from decades of Soviet rule, and tend to view this religious revival as a rural phenomenon ‘migrating’ to the city due to economic reasons. In Bishkek, many of those internal migrants settle in novostroiki, new construction projects at the edge of the city where rent is affordable. The sensitivity of the subject means that evidence about allegations of extremism is often weak, while independent research is actively discouraged, as this author and others found out on several occasions. Nowhere is this clearer than in the widely ranging statistics on the number of fighters who left Kyrgyzstan to fight in Syria or Iraq for the so-called Islamic State. But it also applies to more prosaic questions such as the number of adepts of any given Islamic group. McGlinchey is one of a number of scholars that reveal Islam’s potential for compensating, at least partially, for the deep governance crisis the country is experiencing. In recent years, so-called self-help groups have substantially spread across the country – and the region – to deliver the public goods once supplied by the state. 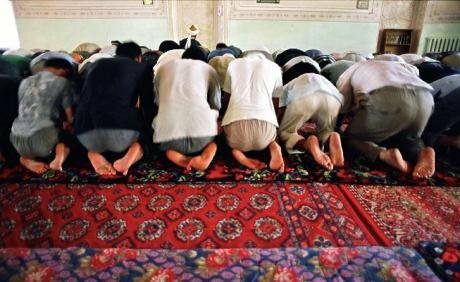 Some are secular, but many are religious and find in the local mosque their natural organising centre.